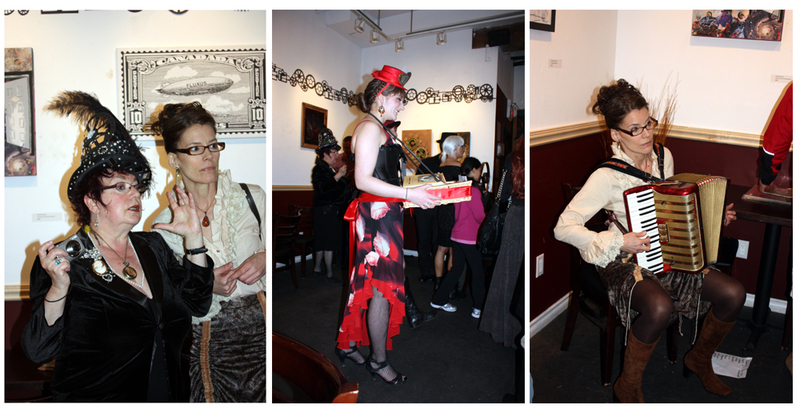 Clockwork Universe — A Fabulous Opening! Last night the Drive was treated to perhaps the most interesting and well-attended art opening for many years. 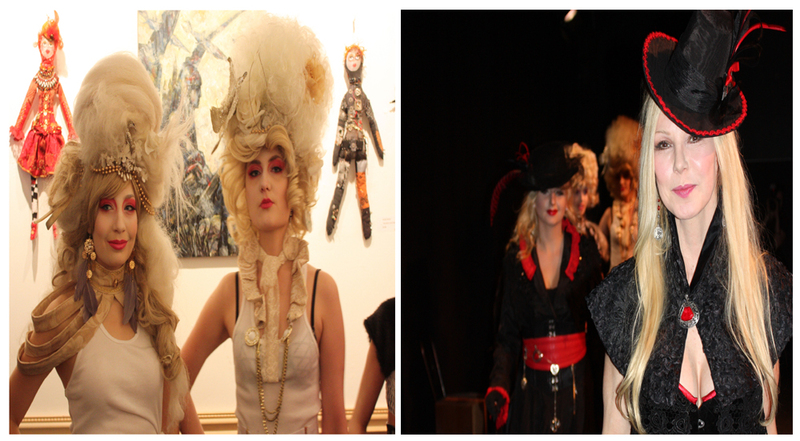 This was the steampunk extravaganza called Clockwork Universe curated by Famous Empty Sky at the Havana Gallery and Theatre. 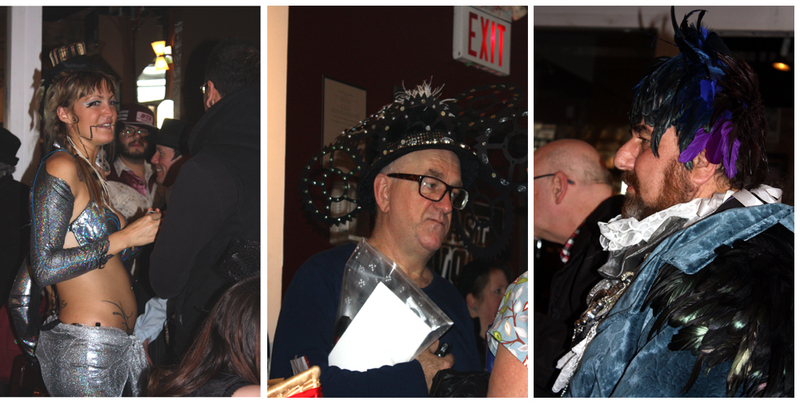 The intimate little space was jam-packed with people, well over a hundred, many of whom wore fabulous costumes in honour of the theme. There was a spectacular set of theatrical performances, there was wine, there was excellent conversation. And the artwork was wonderful, too! These examples include puppet figures by Diane Wood (with part of Harry Grunsky’s gallery-wide frieze above), “Normal Waking Consciousness Is Entirely Different” by Famous Empty Sky, and “Visionary” by Solange Belleforte. There are many more fine works on the walls and they will be showing until May 7th. A perfect Drive event. Brava! This entry was posted on Monday, April 29th, 2013 at 9:41 am and is filed under Art & Design, GW Events. You can follow any responses to this entry through the RSS 2.0 feed. You can leave a response, or trackback from your own site. 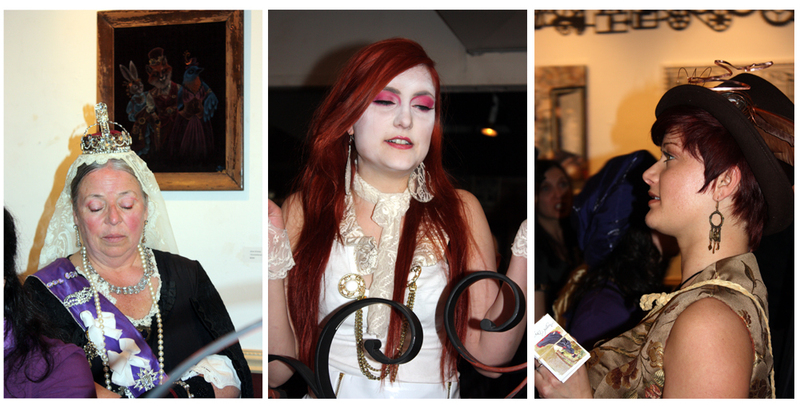 One Response to Clockwork Universe — A Fabulous Opening!